Riccardo Tisci invites Tony Ward as a male guest for his SS2015 Advertising Campaign. 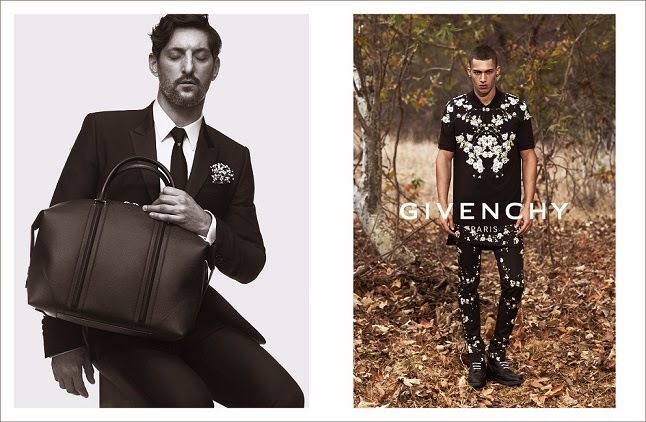 For this ad campaign Ricardo Tisci reveals the dark and romantic side of the Givenchy man. A strong, masculine and military-inspired look is counterbalanced by tender touches evoking a celebration of love and religion. 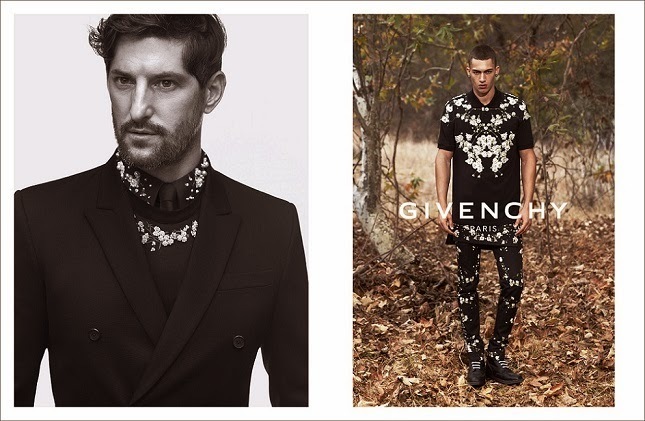 This season, the menswear campaign oppose a black and white portriat of Tony Ward, a timeless handsome man, to a fancy young man wearing flowers all over. Tailored pieces are rendered in matte black or a new floral print inspired by baby's breath (Gypsophila flover).